Join Artist and Teacher Leah Robinson & Education Specialist Psychologist Marika Conomos in this fun and collaborative art making activity. Kids will experience of colour, creativity and self-expression to build social skills, self-identity and confidence and get to take home a piece of art! This activity is part of Sydney Olympic Park‘s Kids in the Park school holiday program. 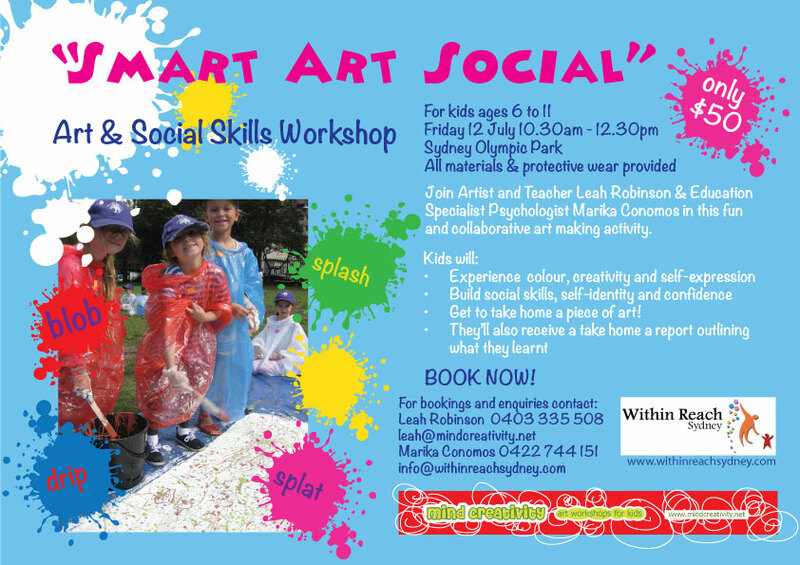 For details see the ‘Smart Art Social’ listing on the Sydney Olympic Park web site.